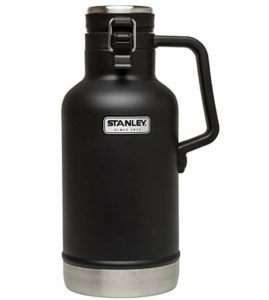 Stanley Growler Review (2019 Upd.) 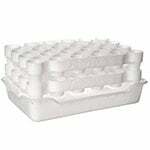 Can It Keep Your Beer Fresh? Stanley has been making vacuum bottles for more than 100 years, and in that time they’ve learned a thing or two about how to do it right. So, it was with great anticipation that we approached this review. When we finally laid eyes on this growler anticipation rose to an even higher level because, we have to say right up front, that we were smitten with a serious man crush when we unboxed this beauty. 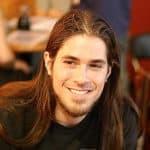 Still, being experienced reviewers we knew that not everything that glitters is gold, so after catching our collective breath, we put our skeptic hats back on and put this growler under the microscope. Did it hold up? Let’s find out. The Stanley Classic Vacuum Growler holds 64 oz (that’s 2 quarts for the imperially challenged) of your favorite homebrew or craft beer. True to its promise, it keeps your beer cold as a bracing North wind for hours and even days, depending on how often you open it. When you do open it, you’ll hear that emotionally satisfying soft ‘pop’ that comes with breaking the vacuum seal and you’ll know right off the bat that you’re in for a treat. 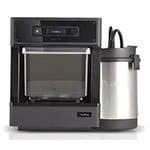 It has a robust, heavy-duty stainless steel handle that lets you hold your brew on your side in total comfort. Sure, the whole thing is too big to fit in your lunch box, but if you’re taking 2 quarts of beer to work with you, lunch box space isn’t really your problem. That aside, this Stanley 64 oz Growler has an incredibly solid feel to it and a profile and earthy color scheme that are manly as all get out. 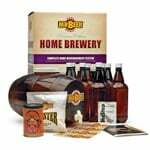 Also, it seals up tight as a drum with its Mason jar-style latch and is 100% dishwasher safe. 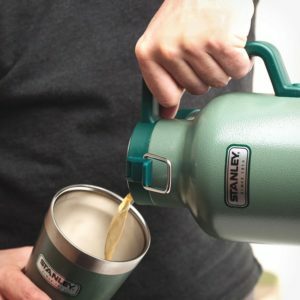 We need to mention too that the Stanley Insulated Growler is just as effective when it comes to keeping soup, hot chocolate and of course, coffee, warm. And it does all this for the cost of dinner for 2 at a halfway decent restaurant. We approached this review with high hopes, and we have to say that the company did not let us down. As such, it’s a little challenging to find anything here that’s really worth complaining about. But in the interest of being fair and balanced, we feel no product should get a complete pass. So here goes. 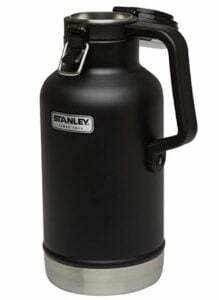 The lid on this Stanley beer growler – although it has a nice stainless steel flange inside that keeps your beer from ever touching plastic – feels a little unconsidered around the edges. The thumb tab for instance, is made of plastic. And that seems a bit incongruous when everything else on the Stanley container seems fashioned by the hand of Zeus himself. Should you ever have the misfortune of slamming your growler up against a tree or picnic table or whatever, there’s a chance this vital piece might break off while the rest of the product comes through with flying colors. Why not just make is steel? Also, unless you have the hands of a lumberjack, the handle might seem a bit too large. Again though, we are nitpicking here and those are things that would deter us from loving this growler from Stanley. 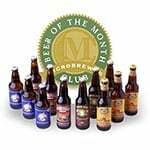 If you’re really bothered by this, why not check out our other beer growler recommendations? We would recommend the Stanley Classic Vacuum Insulated Growler without any reservations. It’s one of the few products we’ve reviewed that grabbed our attention right out of the box and then delivered on all its promises. 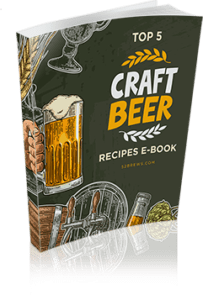 It looks great, keeps your beer cold for 1-3 days, allows you to pour the contents without spilling them or having to use two hands, and is every bit as good with hot liquids as it is with cold. The Stanley Stainless Steel Growler is one that’s going to become a fixture in your parties, camping trips, beer festival excursions and even work. 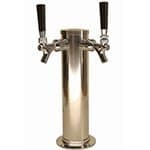 Next Post What’s the Best Mini Kegerator?